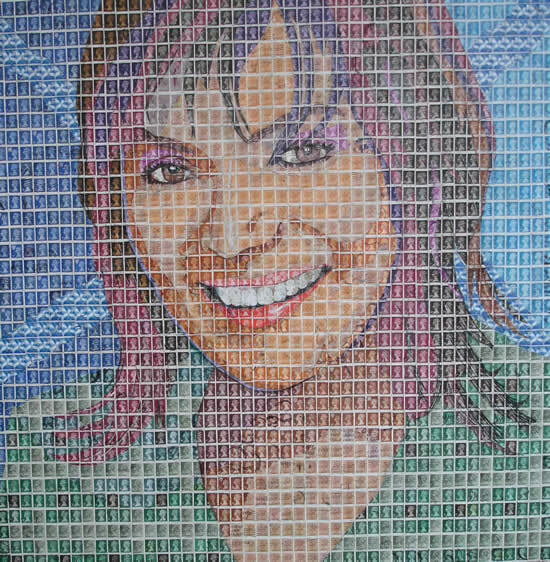 British artist Peter R. Mason uses thousands of recycled postage stamps to create extraordinary pixelated images that look like genuine paintings, from afar. Peter R. Mason was born in Brownhills, England an d studied at the Stafford College of Art, where he was awarded the National Diploma in Design in Painting and Lithography, in 1962. 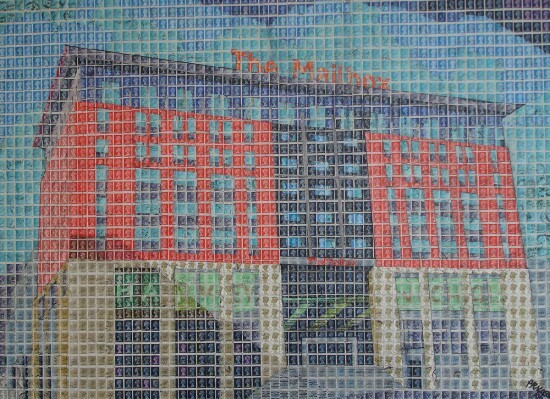 After spending his entire life teaching art and design at secondary schools in Staffordshire, Liverpool and Walsall, Mason enjoys his retirement and the opportunity to focus on creating unique works of art with common postage stamps. 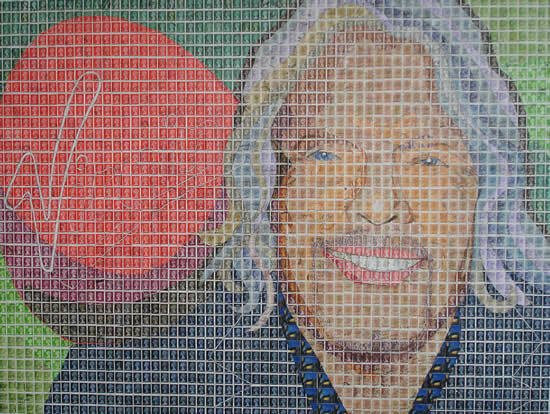 Also known as “Post Pop Art Man” Peter has made name for himself creating tributes and portraits of some of the most imp0rtant artists and political figures of the twentieth century, using simple postage stamps. 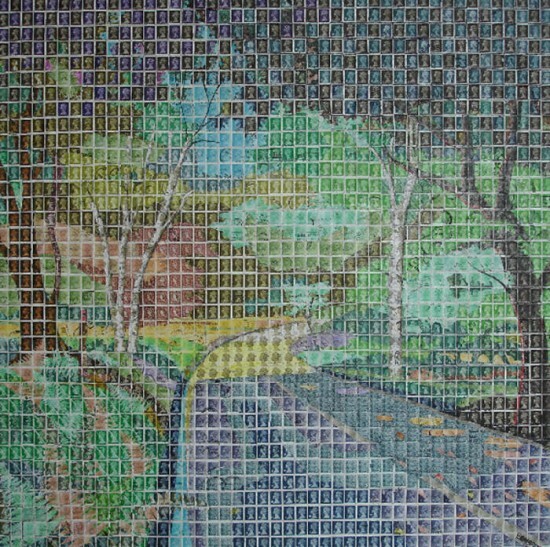 He begins by drawing the image he wants to produce on a canvas or a large sheet of paper, after which he divides it into stamp-sized squares. The stamps are then sorted by design, color and postmark pattern. 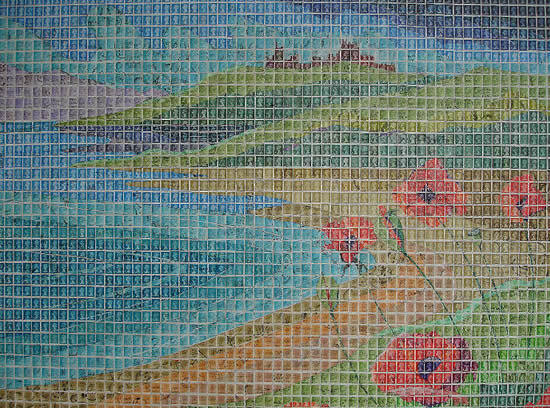 Each stamp has to be soaked to remove the envelope backing, then dried, cut and shaped perfectly before being glued in place. By paying a great deal attention to every detail, Peter R. Mason manages to create detailed artworks that look like colorful photos of their subjects. 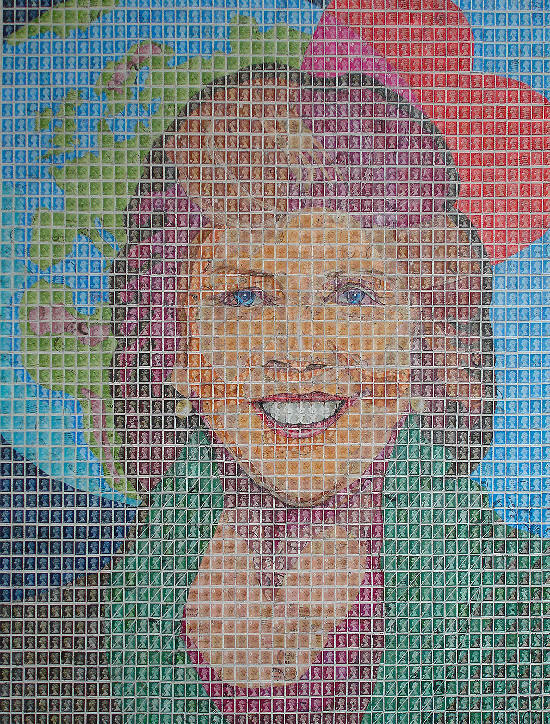 For a typical 4′ x 3′ postage stamp painting, the artist uses around 3,500 stamps, and his largest works include up to 22,000 of them, so how does the artist get all the necessary material. 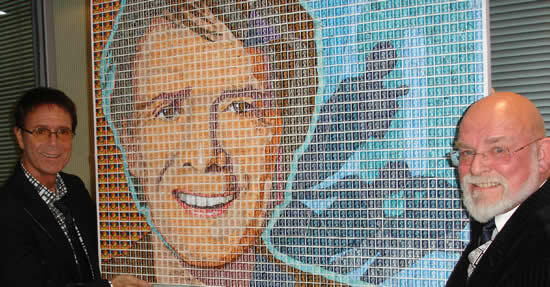 His friends and family help out as much as they can, but the bulk of the stamps comes from English stamp dealers interested in the creative use of postage stamps. 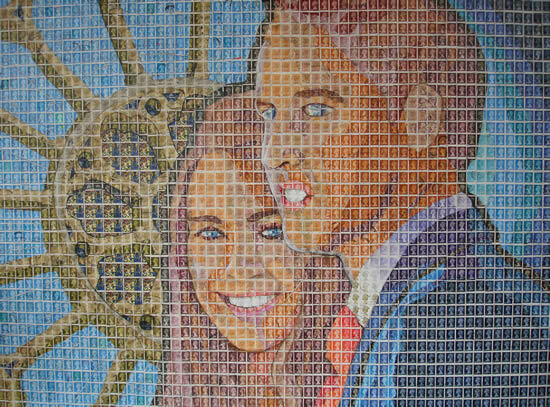 Peter R. Mason’s latest stamp masterpiece is a portrait of Prince William and Kate Middleton, in celebration of their upcoming wedding.